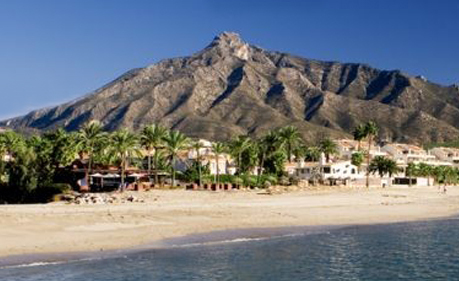 Marbella is more than 100 square kilometers of extension and there are 24 kilometers of beach. Its geography offers visitors a special charm in the contrasts of sea, mountain, town and cosmopolitan city of fishermen and tourists (almost residents) coming from all over the world. At the same time, its coast extends from Cabopino to Guadalmina in a fine sand, only interrupted by the marinas of Cabopino, Marbella and Banús. During the summer months, Marbella becomes the habitual setting for the holidays of artists, actors and celebrities. The city itself is the protagonist of heart magazines and programs dedicated to celebrities. Also, throughout the year, millionaires and characters from the jet-set, who have established Marbella in their place of residence, have visited this town, where they have built impressive mansions and enjoy the wide range of leisure that has the municipality, such as the Casino or the golf courses. 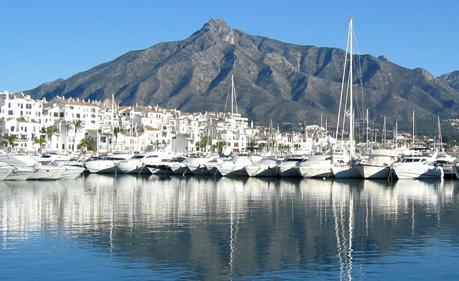 One of the most attractive factors for these visitors is the climate of Marbella. Under the Sierra Blanca, an essential element in its landscape, this municipality has a microclimate that is characterized by warm winters and hot summers. In addition, these conditions favor the growth of a varied and permanent vegetation that has given vocation of "Garden City". Banus is another world. Possibly this is the phrase that best defines the tourist port of the Costa del Sol par excellence, an enclave where life follows its own rhythm and time takes on a different dimension. In Banus, the day has no end: it merges with the night and begins again without giving a truce to anyone who is willing to be seduced by its charms. Between Marbella and Estepona, this port creates a particular universe that envelops the visitor and that stands out by elegance and distinction. The multitude of bars and restaurants offer the visitor the most varied gastronomic specialties that contribute to foment the philosophy that prevails in this Tower of Babel: the good life, philosophy that becomes cult when the night arrives. When the sun goes down, the port dresses up, but the rhythm is not altered. In Banús the shops remain open until dawn and the protagonism is moving gradually from the central street to the back streets, which take on a life of their own after daytime lethargy. Nearly a thousand recreational and competition boats from all over the planet meet in Banús, where fabulous yachts and unattainable cars contribute to increase, even more if possible, the magnetism of the environment. An environment that undoubtedly stands out for its cosmopolitan character. Banus is Nobody's Land; In its small space are all cultures, beliefs and languages, a mixture of colors and flavors that is transmitted and felt, breathed and lived. 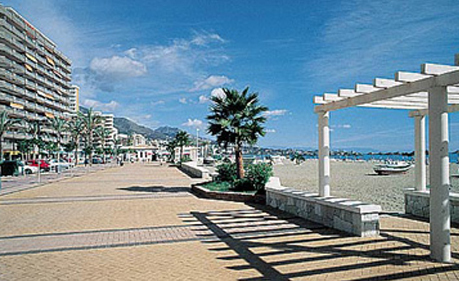 Fuengirola is one of the most touristy towns on the eastern Costa del Sol. Its almost eleven square kilometers stretch along the coast between the municipalities of Benalmadena and Mijas. The limits of the municipal term are the stream of the Garden to the northeast and the mouth of the river of its same name to the southwest. In the extreme north the landscape is hilly and where there are no urbanizations is covered with low mountain. The privileged location on the Costa del Sol have transformed its physiognomy of fishing village into a tourist town with a wide offer of leisure and catering in quality and quantity. This offer belongs to the Fuengirola Sports Port, where flags of the five continents fly, and at night the doors of the bars open to host one of the healthiest marches on the Costa del Sol. Ojén is located between the Sierras Blanca and Apujata, natural enclave that make it a quiet, peaceful and a wealth of water. This picturesque mountain town enjoys a mild climate and all the advantages offered by small towns integrated in the heart of nature. 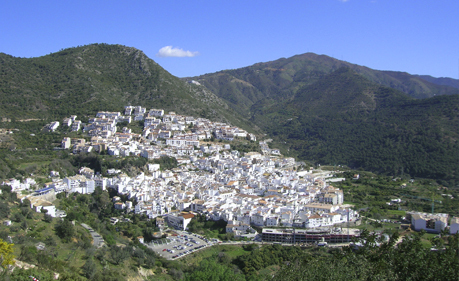 The municipality is included in the Natural Park of the Sierra de las Nieves. The richness and variety of its nature has led to protect this territory, first as a Natural Reserve, then as a Game Reserve, and then as a Natural Park, until it is internationally cataloged as a Natural Biosphere Reserve. The region of Sierra de las Nieves includes ten municipalities, including Ojén, Alozaina, Casares, El Burgo, Casarabonela, Guaro, Istán, Monda, Tolox and Yunquera; Divided into three geophysical areas: the Serranía de Ronda, the Guadalhorce Valley and the Costa del Sol. This locality has been able to combine the friendly nature of its neighbors and traditions with the growth of quality tourism.